Jon was looking for an Apple repair service in Dubai or Abu Dhabi to help him repair both an iPad and an iPhone screen. He had shattered both of them on a journey home over the holiday. He started his search online for an Apple repair service in Dubai like many before him and was fortunate to find www.iRepairUAE.com He decided to fill out a repair form and then send us a text. We received both of his requests for an iPhone repair and an iPad screen replacement. Within a few minutes on the phone with him, we decided to meet at his office in the Jumeirah Lake Towers area. 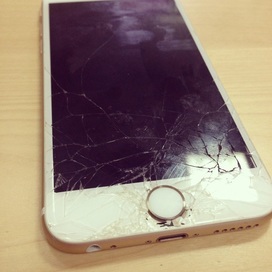 We have been in that area several times before fixing iPhone and iPad screens and have developed a special fondness for doing repairs in the area. In the afternoon we met Jon and in just over an hour we had replaced the cracked glass on his iPhone 5S and his iPad Air. We were happy to help John with his broken and cracked screens. There is nothing like getting your iPhone and iPad back looking like new again. That is why we love what we do. Many times our customers call us hopelessly wondering if by chance there is any way to get their beloved Apple device back to its original shape, beauty, design after taking such horrific falls and tumbles. Chances are fairly high that we can get your broken and cracked iPhone and iPad screens looking exactly like they did before. 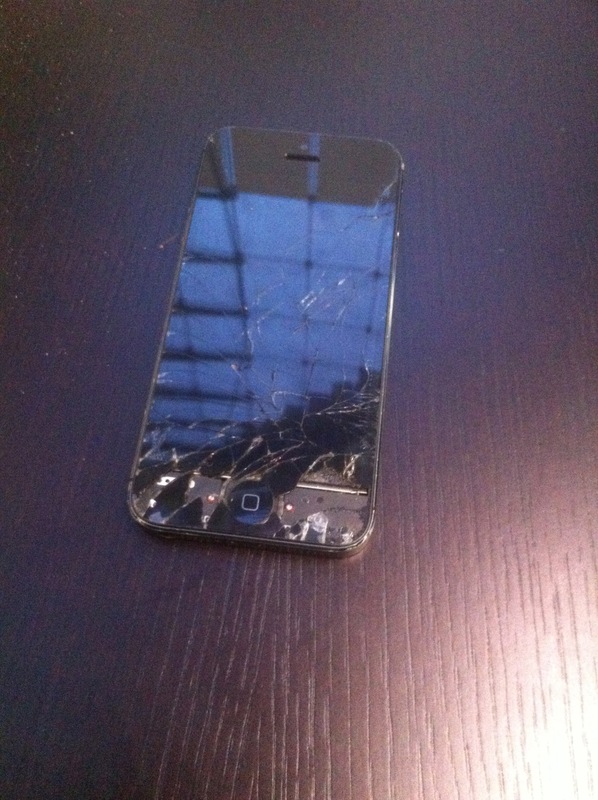 There is however, the occasional destroyed beyond repair iPhone or iPad. This usually happens after a very long night or very early morning. The iPhone or iPad had taken such a beating that it is probably wise to just invest in a new one. In any case – Better luck in the future, Jon. Take care of those Apple devices. As you may have guessed, New Year’s Eve for this particular iPhone 6 owner was a fun night followed by a sobering morning. When he woke up on New Year’s Day he glanced at his iPhone and saw the result of a cracked iPhone 6 screen here in Dubai. Never any fun. After a few of the first tears of 2016 were shed, this particular iPhone owner gave us a call and wanted to arrange an appointment ASAP. 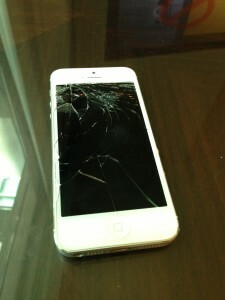 We were able to meet him at his home in Jumeirah Lake Towers and fix his iPhone is less than 30 minutes. We truly hope the rest of his new year will be free of any more cracks. 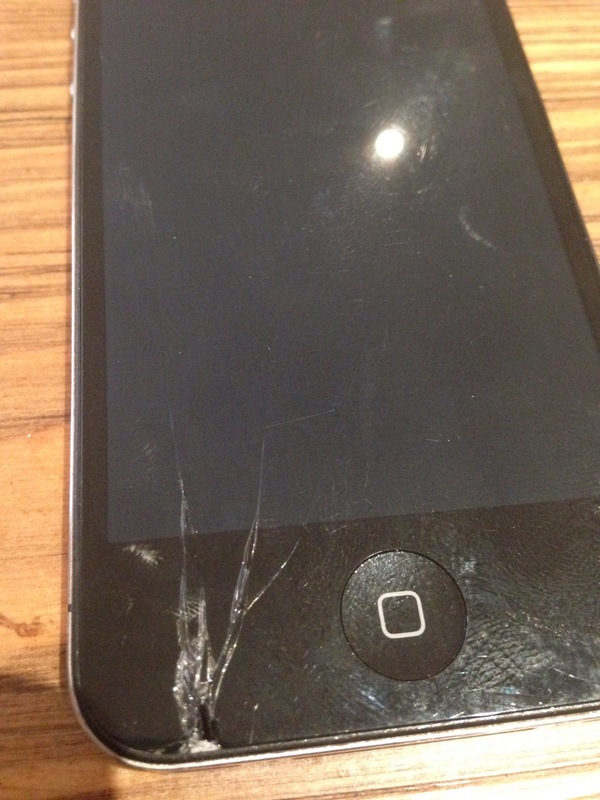 Kevin’s iPhone 5 took a major tumble a few days back, shattering the screen and leaving his fingertips vulnerable to cuts from the broken glass. After a few days of constantly being ridiculed at work, he finally decided it was time to replace the cracked glass screen on his iPhone 5. He looked around at some of the services available in Dubai, but was most interested in the one that could come to his office and do the repair in front of him. Kevin called us and we set up an appointment the following day. We replaced the damaged screen in about 30 minutes. Unfortunately his fingertips will need another day or two to heal.